They say nobody remembers who finishes second, but in this case, Baltimore entrepreneur John Greenway Albert made quite an impression in the 1915 Labor Day race in Washington, DC. Powered by a massive 7.7 litre 4 cylinder engine, Mr. Abert upped the horsepower with a homemade fuel injection system. When it malfunctioned, spewing fuel onto the exhaust headers, Albert pressed on, famously crossing the finish line in a ball of flames. Albert restored the car for further racing, and kept it until 1976. 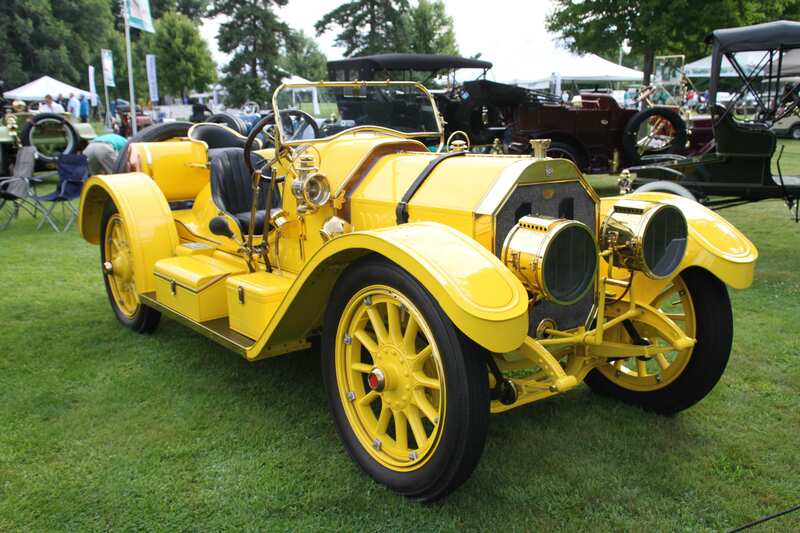 This photo was taken at the recent St. Johns Concours in Plymouth, MI. Now fully restored, it is part of the Bill and Barbara Parfet collection, and often on display at the fabulous Gilmore Car Museum in Hickory Corners, MI, along with hundreds of other spectacular classic vehicles. Visit www.gilmorecarmuseum.org for the full details. If you have an early model Oldsmobile or another collectible you’d like to insure with us, let us show you how we are more than just another collector vehicle insurance company. We want to protect your passion! Click below for an online quote, or give us a call at 800.678.5173.